Ambassador Luo referred to the informal summit between PM Modi and Xi Jinping in April in Wuhan last year, and said that the cooperation between the two countries were on the “right track”. India, the sources said, was not going to make any compromise or cut any deal with any member nation of the UN Security Council or UN Sanctions Committee on designating Azhar as a global terrorist. 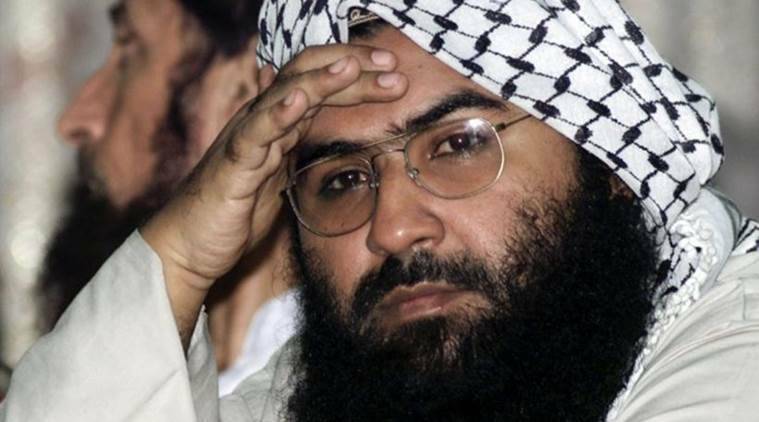 Days after China put a technical hold on the proposal to list Jaish-e-Mohammed chief Masood Azhar as a global terrorist for the fourth time, China’s Ambassador to India Luo Zhaohui Sunday expressed optimism that the “matter” would be resolved. “We are optimistic that this matter will be resolved,” Luo said on the sidelines of an event at the Chinese embassy in New Delhi when asked about Beijing putting a hold on Azhar’s listing by the UN Security Council Resolution 1267 Sanctions Committee. On Wednesday, China stalled for the fourth time in a decade the bid in the UNSC to designate Azhar by putting a technical hold on the proposal. India described the Chinese move as “disappointing”. Diplomatic sources said New Delhi was ready for a long haul with Beijing, and willing to be patient for “as long as it takes” without compromising on its position on terrorism. India has a solid case against Azhar, and is “cautiously confident” that he will be eventually listed — and hopes that this will happen in weeks or months, rather than “years”. The sources said China has to work out certain issues with Pakistan, even though it has adequate information that terror groups were operating from Pakistani soil, and that those terrorists were against Chinese interests as well. India, the sources said, was not going to make any compromise or cut any deal with any member nation of the UN Security Council or UN Sanctions Committee on designating Azhar as a global terrorist. They said 14 out of the 15 members of the UNSC support India on this issue, and seven members were co-sponsors of the resolution to list Azhar. Six other countries that are not members of the UNSC, had also co-sponsored the proposal. The sources said that the “technical hold” by China means consultations on the issue will continue. India has been cautious in its response to Chi’a’s action, and has not even named China in its official statement. This is perceived as a measured response, in line with the understanding reached in the summits between Prime Minister Narendra Modi and President Xi Jinping in Astana, Xiamen, and Wuhan through 2017 and 2018. Ambassador Luo referred to the informal summit between Modi and Xi in April in Wuhan last year, and said that the cooperation between the two countries were on the “right track”. “We are quite optimistic about the future cooperation between the two countries,” Luo said Sunday. Sources said India has given adequate information about Azhar to Beijing, and would remain engaged with it.